1) The drug war is an all-out disaster that has inflicted an untold amount of unnecessary human suffering. Therefore, as a first step toward ending this failed war, we should continue with the movement toward the decriminalization of pot. 2) There is scientific evidence of the dangers of pot on the development of adolescent brains, and for users of any age who end up abusing the drug. So, as we decriminalize, we should take every step possible to minimize the harm. Those two positions are not actually contradictory, but in the polarized, zero-sum world that passes for policy debate right now, many act as if they are. For the last 15 years I have been writing and speaking about the imperative of ending the disastrous war on drugs. In fact, in 2000, when I organized shadow political conventions to spotlight the major issues that neither political party was seriously addressing, the failed war on drugs was one of the three issues that we chose (growing inequality and the need for campaign-finance reform being the other two). It’s about time, as the drug war has been one of the worst domestic-policy catastrophes in American history. The human toll has been staggering. Drug offenders make up fully half of our massive inmate population. Of those, nearly 28 percent are locked up for marijuana-related offenses. In 2012 some 658,000 people were arrested for marijuana possession, and fighting marijuana use alone costs federal and state governments $20 billion a year. And the targets of the war on drugs have disproportionately been people of color. African Americans, for instance, make up 14 percent of habitual drug users yet constitute 37 percent of those arrested on drug charges. So while we fight to change our drug laws, let’s do so with a full understanding of the science. The effects of marijuana are not easy to study; people don’t use it in the clean ways it’s studied in labs. But we do know that in addition to marijuana providing relief to people undergoing chemotherapy and those suffering from glaucoma, multiple sclerosis and AIDS, among other conditions, there is clear evidence of the harmful effects on adolescent brains and on those who become addicted to it. So let us not make the mistake — the same one that climate-change denialists have been making — of ignoring the science that we are afraid will weaken our position. Indeed, as we move toward legalization, let’s put the science front and center. One of the worst things about the drug war is the way its proponents ignore the facts in favor of dogma. Let’s not make the same mistake as we move toward legalization. While we can’t be certain about what lies ahead, we can take what we know now — from the science on marijuana, from the market forces already in play and from our past experience with how marketing and market forces played out with tobacco and alcohol — and at least try to create a system that anticipates and minimizes the inevitable downsides. Mark Kleiman, a professor of public policy at UCLA and a co-author (along with Jonathan Caulkins, Angela Hawken and Beau Kilmer) of Marijuana Legalization: What Everyone Needs to Know, is worried that in our haste to get out from under the ills of a horrible drug war, we’re not really thinking about what comes next. To begin to understand this point, let’s look at some of the recent scientific findings, the most notable of which has centered on the effects of marijuana on young people. A study published in The Journal of Neuroscience in April, conducted by researchers from Massachusetts General Hospital/Harvard Medical School and Northwestern University’s Feinberg School of Medicine, showed how smoking marijuana, even occasionally, physically changes the young user’s brain structure. “The results of this study indicate that in young, recreational marijuana users, structural abnormalities in gray matter density, volume, and shape of the nucleus accumbens and amygdala can be observed,” write the authors. Don’t do it early — prior to age 16. That’s what our data suggests, that regular use of marijuana prior to age 16 is associated with greater difficulty of tasks requiring judgment, planning and inhibitory function as well as changes in brain function and white matter microstructure relative to those who start later. As it should be for us all. Treating it as a legal issue has caused devastating harm. But ignoring marijuana’s health risks will lead to young people using pot without being fully informed and educated about the risks of lifelong damage. But the public’s understandable eagerness to end the drug war has outpaced awareness of potential problems to come. According to a Pew Research Center poll from last year, while for the first time a majority of all Americans want marijuana legalized, for millennials the number is 65 percent. And the National Institute on Drug Abuse reports that 60 percent of high-school seniors don’t see the harm in routine marijuana use, and over a third said they’d smoked it in the prior 12 months. In 1993 only 2.4 percent of high-school seniors said they used marijuana daily; by 2013 the number was up to 6.5 percent. And over 12 percent of eighth graders said they’d tried it. As use has gone up, so has the concentration of THC found in most marijuana. “Daily use today can have stronger effects on a developing teen brain than it did 10 or 20 years ago,” said Dr. Nora Volkow, director of the National Institute on Drug Abuse. And in recent years 97 percentof new marijuana users have been 24 years old or younger. Clearly, young people are going to be the primary market for a legal pot industry. Most of them won’t abuse the drug when it’s decriminalized, but some will. How many? Well, there’s been research on this too. Kleiman and his co-authors writethat, right now, about 4.4 million people meet the clinical definitions for either marijuana dependence or marijuana abuse. They also report on the work of epidemiologist James Anthony, who estimates the “capture rate” (the rate of people ending up dependent on a drug after trying it) for marijuana to be around 9 percent, compared with 15 percent for alcohol and 16 percent for cocaine. But when Anthony and his colleagues looked at those who began using marijuana before turning 25, the rate jumped to 15 percent. And an Australian longitudinal study with nearly 2,000 participants found that 20 percent of those who began using marijuana in their teens showed signs of dependence at 24. And the fact that from 2013 to 2014 — after marijuana was decriminalized in Colorado — applications to the University of Colorado-Boulder increased by 33 percent, compared with a 2-percent increase the previous year, suggests that legal weed can have a magnetic pull on young people (even if some of the increase is due, as administrators claim, to the adoption of the Common Application). Marijuana, according to Kleiman, was involved in 350,000 drug-treatment admissions in 2009, a number that has quintupled since 1992. And the majority of those were teenagers and young adults, with those below 21 accounting for nearly half of the admissions. 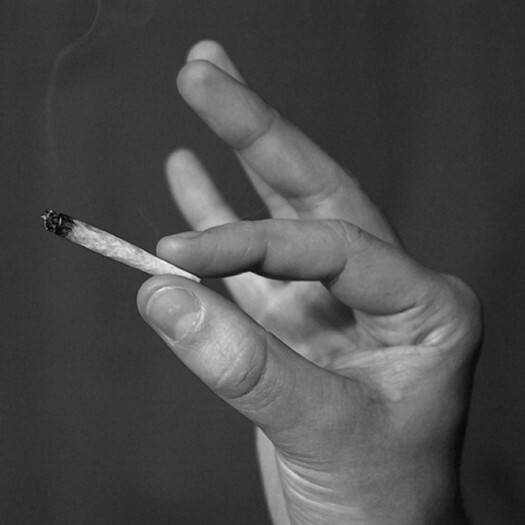 The more-than-weekly users account for more than 90 percent of marijuana demand. That has a frightening implication: if we create a licit industry to grow and sell marijuana, the resulting businesses will have a strong profit incentive to create and sustain frequent and abusive consumption patterns, because the heaviest users consume so much of the product. So if we create a licit market, we should expect the industry’s product design, pricing, and marketing to be devoted to creating as much addiction as possible. This could lead, as Kleiman put it, to “a cannabis industry whose commercial interest is precisely opposite to the public interest” the way, over decades, we have had a tobacco industry and an alcohol industry whose commercial interests have been precisely opposite to the public interest. So from the perspective of cannabis vendors, drug abuse isn’t the problem; it’s the target demographic. Since we can expect the legal cannabis industry to be financially dependent on dependent consumers, we can also expect that the industry’s marketing practices and lobbying agenda will be dedicated to creating and sustaining problem drug use patterns. The trick to legalizing marijuana, then, is to keep at bay the logic of the market — its tendency to create and exploit people with substance abuse disorders. So far, the state-by-state, initiative-driven process doesn’t seem up to that challenge. So getting rid of horrible drug laws (a good thing) doesn’t mean we shouldn’t replace them with rules and regulations to minimize a new and different set of harms. The key is to do it now and not wait for a few decades — and a lot of suffering — to pass before we fix problems that could have been avoided. For example, take the story of the tobacco industry. In 1960 the Federal Hazardous Substances Labeling Act was enacted, allowing the FDA to regulate hazardous substances, but tobacco wasn’t considered a hazardous substance at the time. So it wasn’t until the Federal Cigarette Labeling and Advertising Act of 1965 that warning labels were required. And it wasn’t until 1971 that broadcast advertising for tobacco was prohibited. Now there are regulations of all kinds aimed at limiting the tobacco industry’s ability to target young people. For instance, tobacco companies can’t, with their brand name, sponsor musical or sporting events, nor can they sell T-shirts and hats with cigarette brands on them. But at least in the case of tobacco, the delay in setting up a framework to minimize harm was partially because it took a while for the science to come in. With marijuana the science is here. It’s complex, and there will always be skeptics (as there still are in climate science and even tobacco, until recently) challenging the results, but we need to start including, in both our policy discussions and our reporting, the scientific findings we already have, especially because there are ways to limit the potential downside, including keeping the price of pot high, undercutting the political leverage of the burgeoning marijuana industry, protecting young people from marketing techniques we know they’re susceptible to and educating the public about not just the medical benefits of marijuana but the possible negative consequences. After many years of a horribly destructive and wasteful war on drugs, we are finally poised to bring an end to this shameful chapter in our country’s history. But, as we look ahead to the next chapter, it’s our collective responsibility to keep the science at the forefront of how we roll out legalization. We can learn a lot from the long history of trying to mitigate the harm of tobacco and alcohol. We don’t need to make the same painful mistakes again.